Contact our office for boat storage and slip information. Bethpage Camp-Resort offers a conveniently located boat dry storage area on-site for guests. Pricing is available for overnight, weekly and monthly storage. Who says you can’t boat if you have an RV too! Let us keep your boat in your favorite spot to vacation and you can worry about where the fish are biting! Bethpage Camp-Resort offers hundreds of wet boat slips that are available to boat owners. Imagine being able to reach some of the best fishing spots in Virginia’s Chesapeake Bay and Rappahannock River in minutes. Whether you dock with us for a night, week or the season we have a spot for you! Our resort also offers a well maintained concrete boat ramp for easy access fishing areas. Plus, our marinas offer fish cleaning stations for easy cleanup of the day’s catch! Looking for a private charter? Whether you are interested in a fishing charter or an educational boat tour, either can be booked directly with local charter fisherman. Fish prime locations along the Rappahanock River and the Chesapeake Bay. 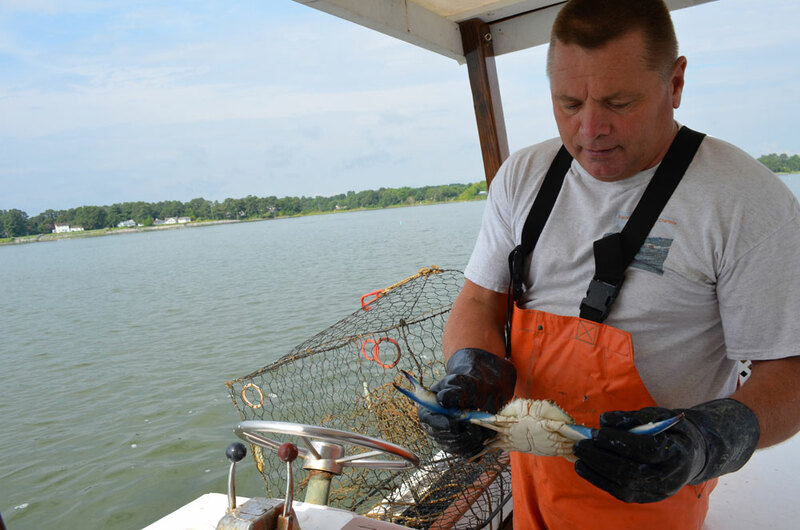 The local waters are abundant in croaker, spot, flounder, bluefish, cobia and striped bass. Fishing not your cup of tea? Book a charter to take a close look at the abundant wildlife in the area and get demonstrations of fishing, oystering, and crabbing practices by area fishermen. Guests will also learn about the deep history of Virginia’s river country. Please call directly for details and cost. Convenient departure locations can be arranged to occur at Bethpage Camp-Resort or Grey’s Point Camp boat ramps. Cast off with Chris Deal to experience what real fishing is like. His customers appreciate his experience and expertise.